It’s Friday night in Asunción, Paraguay, and the temperature is sweltering. 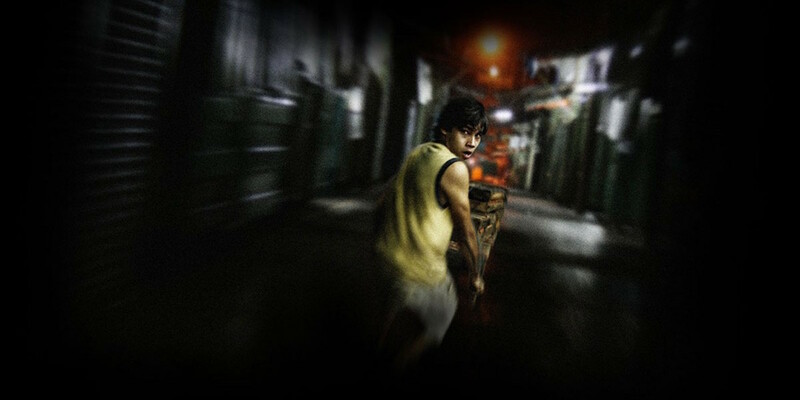 Víctor, a 17-year-old wheelbarrow delivery boy, dreams of fame and owning a fancy TV set from the infamous Mercado 4. He’s offered a chance to deliver seven boxes with unknown contents in exchange for a quick one hundred US dollars. But, what sounds like an easy job soon becomes complicated. Something in the boxes is highly coveted and Víctor and his pursuers quickly find themselves caught up in a crime they know nothing about. Reminiscent of Slumdog Millionare, 7 Boxes was declared a film of cultural interest by the National Secretary of Culture of Paraguay. 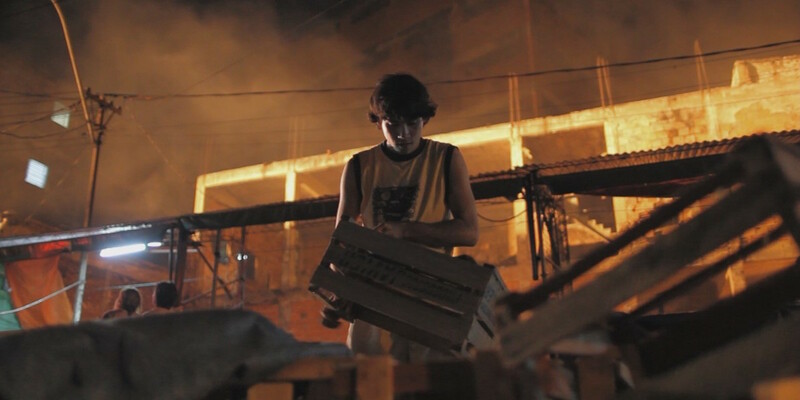 7 BOXES IS ONE OF THE MANY FILMS INCLUDED IN THE CATALOGUE OF SPANISH FILM CLUB. SFC AFFILIATED UNIVERSITIES CAN TAKE ADVANTAGE OF A SPECIAL PRICE OF $99 IF THE TITLE HAS BEEN INCLUDED IN THEIR SFC FESTIVAL. PLEASE CONTACT SFC STAFF AT FILMCLUB@PRAGDA.COM FOR MORE DETAILS. The Maneglia-Schémbori duo originates from the strong passion that Juan Carlos Maneglia and Tana Schémbori have for film. Consequently the short films, telefilms and tv series they produce seek to find their own language and to install a national cinematography to identify them. They join to work together formally for the first time in 1990 with the TV miniseries La Disputa. Since then, they have made together several successful materials for TV, video, and cinema. Over the years, Juan Carlos and Tana, with their talent and ability, have inspired others to follow the same path. 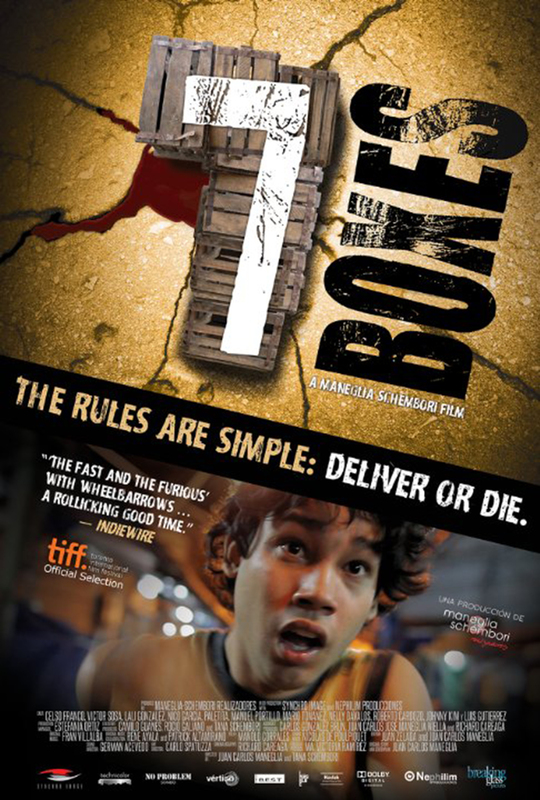 The challenges continue, and their loyalty to fiction TV too, the goal now is to translate it on the big screen with their first feature film: 7 Boxes. Juan Carlos Maneglia has always been a constant visitor to the Market 4 of Asuncion, and since 2004, fascinated by the place and its inhabitants, he begins observing the wheelbarrow men of the Market. He starts, then tracing the first drafts of the 7 Boxes plot, and like a Ñanduti fabric (needlepoint applied in Paraguayan crafts), intertwining thread by thread a suspense story. In every Market around the world, the common denominator is that everyone goes to buy there: the rich and poor, regardless age, race or culture. “If you want to know how a country eats and lives then visit its local market”. 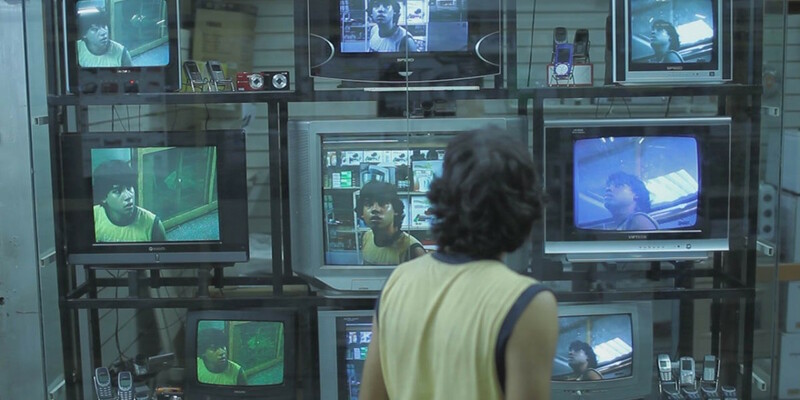 7 Boxes shows exactly that: the environment of the Asunción Central Market, an underworld with its own codes, particular characters and places with a visual richness as never seen before in the big screen. The Market number 4 covers about eight blocks in the middle of the city, and at first glance, its hallways are never ending. It is home to about 500 people, but commercially serves to around 2000. It´s the place where Koreans, Chinese, Arabs, Jews and Paraguayans coexist. And there, everything is for sale: fruits, vegetables, electronics, cell phones, clothing and sometimes, even dignity. In 7 Boxes we see the market and its inhabitants, those who survive with almost nothing, with diverse needs that varies from saving food costs, buying with pending urgency a medicine, paying the usurer an old debt, buying tickets to a raffle they know they will win, raising money to a birth and a funeral. You pay to live. And to die as well.